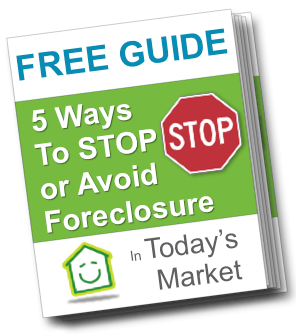 We’ve created resources to help you sell your house fast or help you avoid even stop foreclosure. We work with homeowners just like you every day who need to sell their house but can’t do it the traditional route through a real estate agent… and people going through foreclosure. Please use our resources we have created and if you have any questions at we’d be glad to answer them. We can help you with all your options and tell you about our “home buying service”. Let us go over your options and give you a Fair No Obligation Cash Offer. We wrote this guide recently this year to walk you through your 3 options when you need to sell your house. 1) Working with an agent. 2) Selling it yourself. 3) Selling to a real estate investor. This guide is comprehensive and will give you details about all 3 potions… and it’ll show you which options make sense for you. Send Us Some Basic Details About Your House if you need to sell your house fast.